Run in conjunction with Guangzhou University of Chinese Medicine (GUCM). GUCM will only provide staff if there are sufficient suitably qualified applicants. We have not received enough suitably qualified applicants, so GUCM are unable to provide staff and we are, therefore, not currently able to accept applications for this Degree programmes. However, the situation may change, so we are happy for you to register your interest if you meet the application requirements. 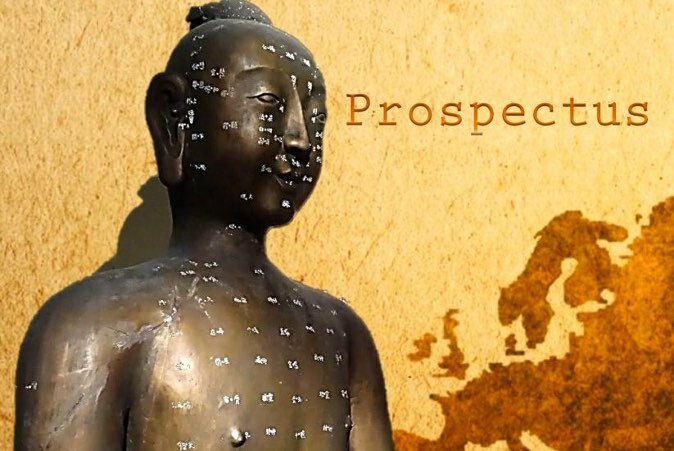 If you already have a Bachelor degree in Chinese Medicine you can register your interest in this Masters Degree by contacting the College. Please note that this is a part time programme so we cannot offer places to people who need a student visa. This summary refers to programmes offered before 2018, and is provided only for reference. Part-time – for trained professional practitioners of TCM working and living in Europe or able to travel and study in Europe without needing a student visa. Students will be registered with both GUCM and the ICTCM, the affiliated TCM College of GUCM in Ireland. In the first year students will study the majority of the requisite number of compulsory taught modules (approximately 8). Students will go to Guangzhou at the beginning of the first year to enrol on the programme with Guangzhou University of Chinese Medicine, and to register with the Department of Education in China. Some of the remaining modules will be taught at the Irish College of TCM (ICTCM) in Dublin by academic staff mainly from GUCM (approximately 3-4 days attendance in Dublin per module). Each student will have a specialist thesis supervisor from GUCM. Students will decide on the topic of their thesis and conduct a literature review during the first year. The second year will be mainly devoted to textual, clinical or laboratory-based research upon which the thesis/dissertation will be written. Students may conduct their research in Ireland (or other neighbouring European countries if appropriate) at clinical or research establishments approved by GUCM. Alternatively they may go to Guangzhou, if they wish, during the second year and conduct their research there. All Students will defend their thesis in Guangzhou at the end of the second academic year. If there are any remaining taught modules, these will be completed during this final visit. (Approximately a five day visit). The course will be taught in English. (On some occasions it may be taught in Chinese with English translation.) All technical TCM terminology is taught in Chinese Pinyin. Successful Graduates will be invited to Guangzhou for the Degree presentation ceremony. Attendance is optional. Go to our other Postgraduate Courses here.